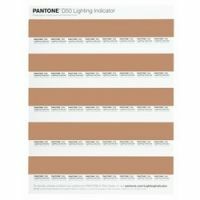 Now available for both D50 and D65 range lighting, Pantone Lighting Indicator Stickers make it easy to determine if your viewing conditions are right for accurate colour matching. To get your colour right you need to get your lighting right and the Pantone Lighting Indicator Stickers tell you at a glance whether your ambient lighting conditions are giving you an accurate visual read of your colour. Each sticker has two light-sensitive patches that react to your viewing illumination and change colour under different lighting temperatures. Under the correct lighting the two patches will appear to match. If the light is not in the proper range, the two patches will appear different.